BIDWELL, BARNABAS, author, teacher, and politician; b. 23 Aug. 1763 in Tyringham, Mass., son of Adonijah Bidwell and Jemima Devotion; m. 21 Feb. 1793 Mary Gray (d. 1808), and they had a son and a daughter; d. 27 July 1833 in Kingston, Upper Canada. Descended from Puritan divines on both sides of his family, Barnabas Bidwell attended Yale College, from which he was graduated in 1785. As an undergraduate he was a prize essayist and the author of two plays: “The modern mistake” and The mercenary match: a tragedy. The latter is distinguished, according to one biographer, “by the general smoothness of the blank verse and the occasional felicity of the phrasing – qualities seldom found in eighteenth-century American plays.” Indeed, the play is considered by that biographer to be Bidwell’s chief claim to fame. In any event, this serio-comic burlesque is of interest to the student of the author’s later career as a party politician. The long speeches with which it is filled reveal something of Bidwell’s early interest in polemics, and the play itself reveals a hostility to the idea of party he would later depart from. Upon graduation Bidwell taught in a school for young ladies at New Haven until 1787, when he was appointed to a tutorship at Yale. In 1790 he unexpectedly resigned from this position to study law under judge Theodore Sedgwick of Stockbridge, Mass. Sedgwick, a prominent member of the House of Representatives and later a senator, was an important spokesman for the Federalist party. Bidwell, disappointed, according to historian Paul Goodman, at failing to secure a postmastership, joined the emerging Democratic-Republican party to become an archenemy of Sedgwick. Admitted to the bar in 1791, Bidwell established a practice at Stockbridge. The same year he was appointed treasurer of Berkshire County, which the Republicans had just captured from the Federalists. From 1801 to 1805 he was a member of the Massachusetts Senate and from 1805 to 1807 he sat as a state representative in Congress. Re-elected in 1807, he resigned without taking his seat to become attorney general of Massachusetts. Honorary degrees of am were conferred on him by Williams and Yale colleges, and in 1805 he was granted an lld by Brown University: Then, in 1810, when he was being considered by President James Madison for appointment to the Supreme Court, discrepancies were found in his accounts as Berkshire treasurer. He fled in disgrace to Upper Canada. 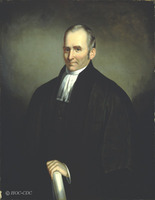 In the House of Representatives, Bidwell had displaced John Randolph of Roanoke as administration leader and become the leading spokesman of President Thomas Jefferson. In this capacity, he successfully defended the president’s policy of imposing economic sanctions in response to British violations of neutral rights at sea. He also directed the campaign to purchase Florida and was deeply involved in the movement to abolish the slave trade. Experience gained within the house, however, was less relevant to Bidwell’s later career than that gained as a party organizer and a manipulator of public opinion at the grass roots. Notable in this regard was the attention he paid to the partisan press. “The people must judge from impressions, communicated through Newspapers principally,” he wrote to Aaron Burr. “The true explanations of controverted measures should be communicated and circulated. They should be uniform in all parts of the United States. . . . For this purpose there ought to be an authentic paper, from which Republican editors can take their texts.” Notable too were his views, which he expounded as a pamphleteer, on the necessity of the War of American Independence, on the excellence of the written American constitution, and on history in general. His own party was identified with a native, patriotic, non-European republican tradition, that of his opponents with an alien, decadent, monarchical, British tradition. The unwritten British constitution and the political thought of Edmund Burke, which were admired in certain Federalist circles, were objects of determined attack. Also of interest is Bidwell’s early use of the term “family compact.” In Canada this expression later took on a strange life of its own to shape political and historical thinking for many decades. Bidwell’s views, however, are perhaps chiefly noteworthy as genuine expressions of an early form of American nationalism. This nationalism was to be quite at odds with sentiment which yet prevailed in George III’s remaining North American colonies. 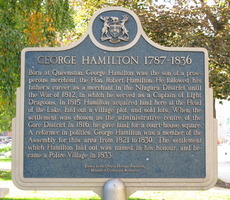 In Upper Canada, to which Bidwell fled in 1810, the American revolution, at least at a rhetorical level, long continued to be fought. First settled by American tory refugees committed to the idea of a continuing united British empire, it had later filled up with other settlers from the United States. When differences developed between these two groups, or when opposition to government opened within either group, so too emerged the rhetoric of revolution and republicanism. In part, this language was perhaps due to prior ideological commitment, and certainly opposition to established institutions often gave birth to republican commitment. More largely, however, the rhetoric of republicanism was the only language of opposition with which most of these folk were at all familiar. None the less, when understood within the context of then very strained British-American relations and against the threat of invasion by American armies, this language gave rise to intense concern on the part of those who supported the established government. Thus when Bidwell, who settled near Kingston, involved himself in controversy, he became an object of suspicion. And, by reason of his acknowledged political and intellectual ability, he became much feared. The occasion of his first involvement sprang from the publication of A discourse on the character of King George the Third. Written in 1810 by John Strachan*, a then obscure Cornwall schoolmaster, this pamphlet was primarily a refutation of George’s republican traducers and a defence of British institutions against republican critics. Strachan also assailed philosophical assumptions which underlay the Declaration of Independence and contended that the practice of government in the United States fell far short of the republican ideal. Bidwell, writing under the pseudonym “A Friend of Peace,” replied to Strachan in the Kingston Gazette of 9 Oct. 1810. Touching not at all upon the question of British institutions, he concurred with Strachan’s “encomium upon those conjugal and domestic virtues . . . so justly ascribed to His Majesty.” Then he took issue with certain “uncandid and ill-timed” reflections upon the people and government of the United States, focusing upon a remark to the effect that, although Britain had lost the revolutionary war, she might be in a position to avenge herself against a hostile United States at the end of the current war in Europe. “From such an unprofitable, ruinous contest, without a prospect of gain,” replied Bidwell, “good Lord deliver us! should be the prayer of our teachers and rulers, and all the people should say Amen.” Strachan’s clumsy attempt at instilling loyalty in the populace was thus represented as provocative of war. In contrast to much of Bidwell’s other polemic, the tone of this letter, although condescending, was moderate. But he soon became an object of fierce controversy in the columns of the Gazette, when his pseudonym was pierced. Then, on 11 March 1811, a committee announced the opening of an “Academical School” at Ernestown (Bath). This school was to offer a more practical education than the classically oriented, government-sponsored grammar school at Kingston. It was with horror that conservative circles in the latter town learned that the “experienced preceptor” of this new school was to be Barnabas Bidwell. That he was more than well qualified academically was unquestioned, but he stood indicted before the courts of Massachusetts for embezzlement and forgery. Moreover, he was, as one contemporary has noted, “a distinguished partizan of democracy in the most unqualified sense of the word” and he was therefore deemed quite unfit to shape tender Canadian minds. This latter consideration, however, may well have been his chief attraction for prominent radical leaders in Ernestown such as the Perrys [see Peter Perry*] who had long been at odds with leading Kingstonians. Certainly the Ernestown Academy was more important as a political symbol than as an institution of learning. During the War of 1812 Bidwell, suspected of acting as an American agent, was compelled by local authorities to swear an oath of allegiance. How much truth lay behind these suspicions, it is now almost impossible to determine. It is perhaps significant, however, that they were shared by certain American opponents of the war. Soon after Brigadier-General William Hull’s abortive campaign of 1812 a satire, The wars of the gulls, was published at New York. In this pamphlet “the Gulls,” Madison and his friends, having decided that Upper Canada could be captured by proclamation alone, dispatch “Hull-gull,” enjoining him in the event of failure to “call for advice upon their trusty ci-devant cabinateer Barnabas Bidwell, and other confidential friends of the great Mo-gull [Madison] resident in that country.” Bidwell, it appeared, had “made a generous sacrifice of his reputation at home” that he might reside with a better grace in an enemy country, there to make “gradual preparations for the reception of the victorious Proclamation, by teaching the illiterate natives how to read it when it should arrive.” Although it would be absurd to suppose that Bidwell took up residence in the colony with any such purpose in mind, he may well have advised the American administration about the nature of Upper Canadian public opinion having regard to the probable reception of Hull’s army and proclamation. The authors knew about Bidwell’s teaching activities in Ernestown; they may have known more. Little is known, however, of Bidwell’s activities either during or immediately after the war. At some point he became a law clerk in the office of Daniel Washburn, a radical elected in 1818 to Robert Gourlay*’s Upper Canadian Convention of Friends to Enquiry. Bidwell himself seems to have taken little or no part in the Gourlay agitations, although he did give Gourlay his unpublished manuscript “Sketches of Upper Canada,” which was later published as part of Gourlay’s account of the province. In 1820 Washburn was disbarred for theft and Bidwell took over the management of his affairs. This same year he stood for election to the assembly in the riding of Lennox and Addington where, it seems likely, the now-disgraced Washburn had intended to stand as a Gourlayite. Bidwell was not very successful. Heading the poll was Daniel Hagerman, who had led the opposition to Gourlay, with 521 votes. He was followed by two other conservatives, Samuel Casey and Isaac Fraser, with 309 and 192 votes. At the bottom of the poll were Bidwell with 162 votes and a Mr Detlor with 43. Then, in the summer of 1821, Hagerman died. In the ensuing November by-election two candidates divided the conservative vote and Bidwell was returned with a majority of 49. 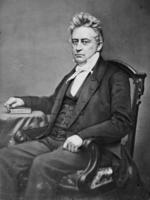 At this point, the attorney general, John Beverley Robinson*, suggested to Bidwell’s opponents that, if a certificate could be secured from the United States establishing that, as an American official, Bidwell had forever renounced allegiance to the king, he could be unseated. But, perhaps because of the complicating factor of the oath Bidwell had been compelled to swear during the war, his antagonists also obtained certificates pertaining to his alleged malversations in Massachusetts. Thus, within two weeks of his election the outcome was protested on moral, as well as legal, grounds. This stratagem completely backfired. Bidwell had paid the moneys he owed to the county of Berkshire and he now counter-petitioned that, all criminal charges having been laid before the electors and explained to them, he be confirmed in his seat. His petition opened up a debate in the House of Assembly as to the proper judge of moral fitness of assemblymen – the house or the electors. At stake were not only the privileges of the electors but also the vexed question of setting a precedent which would open the way to a host of petitions against the alleged moral failings of other members. To the embarrassment of those members, all such petitions would have to be tried. These issues, however, were avoided when the assembly resolved that it could not enter into consideration of crimes alleged to have been committed in the United States. Legal arguments were also produced, but these proved more perplexing than the moral ones. Bidwell’s opponents sought to establish that the oath he had taken in 1812 had been sworn reluctantly; that first having attempted to take novel oaths of his own devising, he had indeed sworn according to the proper form but had afterwards declared this oath invalid since it was taken under duress. Bidwell’s friends then sought to establish that the magistrate before whom this oath had been made, and upon whose affidavit the case against Bidwell rested, was a notorious liar. The evidence produced by both parties was more bewildering than germane to the matter at hand; for the law seems to have been on the side of Bidwell. He, after all, had taken the oath, and his motives in doing so were scarcely relevant. There was other law, however, arising from the Constitutional Act of 1791, which was not on Bidwell’s side. This imperial statute provided that “no Person shall be capable of voting at any Election of a Member to serve in . . . an Assembly . . . or of being elected at any such election who shall not be . . . a natural born Subject of His Majesty or a Subject of His Majesty having become such by the Conquest and cession of the Province of Canada.” This provision had never been amended, and Bidwell fell into neither category. But neither did other members of the assembly and neither did vast numbers of voters who, having entered the province as post-loyalist American emigrants, had hitherto been deemed subjects erroneously. The law was quite clear, but to fall back upon it was to invite a political convulsion such as the province had never seen. Hence, when on 30 Nov. 1821 Jonas Jones* and Mahlon Burwell* moved that Bidwell, “not being naturalized by any British Act of Parliament, is an Alien, and is therefore incapable of being elected to serve in the Parliament of this Province,” they were supported only by legal purists and blind tories. Their motion was defeated 12 to 20. But then, having declined either to enter into a consideration of Bidwell’s American past or to declare him an alien, the assembly proceeded to find on 4 Jan. 1822 by a majority of one that “sufficient of the allegations” made by the petitioners had been proved in such a manner as to render his election void. What these allegations were, or just how they had been proved in view of the house’s own resolutions, it was most difficult to discover. And although the assembly later passed a bill disqualifying from membership all persons who had taken an oath of abjuration against His Majesty’s government, or had held office in the United States, or had committed serious felonies, the impression lingered that Bidwell’s expulsion had resulted more from opportunism than from any dispassionate consideration of law and evidence. By itself this notion would have had little impact outside of the region around Lennox and Addington. But another, entirely false impression, zealously propagated by Bidwell, also lingered. This was that he had been expelled as an alien by ruthless tory opponents bent upon depriving all other unnaturalized persons of their civil rights. This alien question, the influence of which lasted for years, was of key importance in winning popular support for an emerging provincial reform party [see Sir Peregrine Maitland*]. Bidwell himself never again stood for public office. He brought forward his son, Marshall Spring*, as a candidate in his place, acted as his close political adviser, and busied himself orchestrating the press. In due course Marshall became a most able member of the assembly and a leader of the reform party. But tory opponents long remained persuaded that the tactical mind behind both him and the section of the reformers he led was that of Barnabas. Up until 1828 there was much truth in this belief; thereafter, however, rather less. In 1828 the alien question was politically resolved and Marshall began to cooperate closely with William Warren Baldwin*. 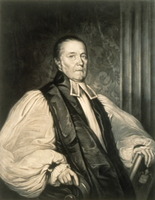 A leading reformer but not a republican, Baldwin proposed to reform government by making it conform more closely with that practised at Westminster. Barnabas was undoubtedly angered and dismayed. This reaction was strongly conveyed by a letter printed in Hugh Christopher Thomson’s Upper Canada Herald of 14 Oct. 1829 and almost certainly written by the elder Bidwell under the pseudonym X. The letter was a bitterly sarcastic commentary upon another document, likely written circa 1806–7 by one Canadiensis, who was most probably judge Robert Thorpe*. 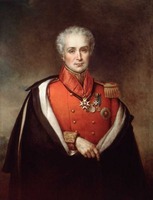 As such, X’s letter was an attack upon William Warren Baldwin who, in 1828, had advanced again Thorpe’s mostly forgotten proposal of ministerial responsibility within the colony as a solution to Upper Canada’s political difficulties and as a means of maintaining the connection with the mother country. Reminiscent of Bidwell’s early pamphlets in which he assailed Edmund Burke’s views, X’s letter clearly emanated from the pen of an American-oriented, republican separatist. It was probably elicited from Bidwell when he discovered his own son was being drawn into a system he abominated. In assessing Bidwell’s methods, the 19th-century American historian Richard Hildreth wrote of him as “timid indeed, but cunning, supple and sly.” The more perceptive of his tory enemies in Upper Canada would not have agreed that he was timid, and they would have pointed to a rigidity of mind which they ascribed as much to his Puritan background as to his uncompromising republicanism. The views of most tories, however, were coloured by their belief that they were dealing with a thief and a traitor. In both instances, they were mistaken. In 1810 Bidwell’s estate had been attached for $10,000 as the amount of his indebtedness; but the final judgement of the Berkshire court against him, which he paid in 1817, amounted to only $330.64 damages and $63.18 costs. Since Bidwell seems to have been able to pay both amounts, he did not flee on that account. There is little reason, moreover, to doubt his assertion that, because his public offices required his presence elsewhere in the United States, he employed clerks to handle his duties in Berkshire, one of whom, dead at the time of financial exposure, had been responsible. He fled, he claimed, from fear of his political enemies who were exaggerating his personal responsibility and indebtedness. As for the charge that he was a traitor, it is clear that he remained an American patriot until the day of his death. 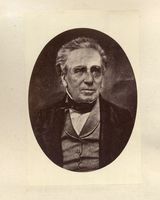 [The main collection of Barnabas Bidwell papers is sect.i of the Bidwell family papers, Yale Univ. Library, mss and Arch. Dept. (New Haven, Conn.), MG 79. These are more useful with regard to Bidwell’s American career than for his Upper Canadian. They are, however, of considerable interest in the latter regard. They are perhaps most useful in revealing something of the pleasanter side of his character and his puritan values. There is a smaller collection of Bidwell papers in the ms Division of the Library of Congress (Washington). Most, if not all, of these, however, are also in the Yale collection. The Marshall Spring Bidwell papers at Yale (MG 79, sect.ii) contain some letters from Barnabas, and also a collection about him which Marshall intended to use for a biography of his father. The entire Yale collection of Bidwell papers is available on microfilm at the AO (MS 761). Bidwell’s American publications include The mercenary match; a tragedy (New Haven, [1784? ]; repr. Chicago, 1925); An oration on the death of Roger Newton, Jun’r . . . (New Haven, ); An oration, delivered at the celebration of American independence, in Stockbridge, July, 1795 (Stockbridge, Mass., 1795); The Susquehannah title stated and examined, in a series of numbers, first published in the “Western Star,” and now re-published, in this form, for the benefit of the public in general, and all persons concerned in particular, issued anonymously at Catskill, N.Y., in 1796 (this work was republished as “The Susquehannah title stated and examined,” ed. J. P. Boyd, in Wyo. Hist. and Geological Soc., Proc. and Coll. (Wilkes-Barre, Pa.), 20 (1925–26): 103–243); An address to the people of Massachusetts (n.p., 1804); An address to the people of Massachusetts; February 1805 (n.p., 1805); A summary historical and political review of the revolution, the constitution and government of the United States: an oration, delivered at Sheffield, July 4th, 1805 (Pittsfield, Mass., 1805); and The attorney general’s report respecting claims for confiscated debts (Boston, 1808). John Smith, “Immortality,” a sermon occasioned by the death of Barnabas Bidwell, esq. (Kingston, 1833). John Strachan, A discourse on the character of King George the Third, addressed to the inhabitants of British America (Montreal, 1810). The wars of the gulls; an historical romance, in three chapters (New York, 1812). Upper Canada Herald, 1820–30. J. P. Boyd, “Reprint of The Susquehannah title stated and examined: foreword,” and “Barnabas Bidwell, 1763–1833,” Wyo. Hist. and Geological Soc., Proc. and Coll., 20: 49–52 and 53–102. G. [H.] Patterson, “An enduring Canadian myth; the family compact and responsible government,” Journal of Canadian Studies (Peterborough, Ont. ), 12 (1977), no.2: 3–16; “Whiggery, nationality, and the Upper Canadian reform tradition,” CHR, 56 (1975): 25–44. J. E. Rea, “Barnabas Bidwell: a note on the American years,” OH, 60 (1968): 31–37. W. R. Riddell, “The Bidwell elections: a political episode in Upper Canada a century ago,” OH, 21 (1924): 236–44. G. H. Patterson, “BIDWELL, BARNABAS,” in Dictionary of Canadian Biography, vol. 6, University of Toronto/Université Laval, 2003–, accessed April 25, 2019, http://www.biographi.ca/en/bio/bidwell_barnabas_6E.html.